runDisney StarWars Half Marathon Weekend official merchandise was unveiled this week. New pins are coming to WDW this year – which style are you looking forward to? Downtown Disney’s Superstar Catering food truck is undergoing a “food truck takeover” at Exposition Park, where menu items from new BoardWalk restaurant Trattoria al Forno will be featured from January 16-18! Ohio State University mascot, Brutus, has made his way to WDW as a result of the school winning the College Football Playoff National Championship game on ESPN! Construction on the Central Hub continues, with the infamous “Partners” statue being placed in a box while surrounding improvements are made. 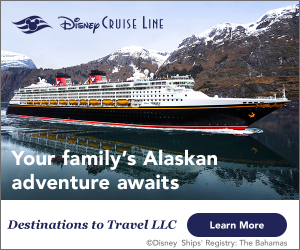 New details have been released about the Frozen transformation coming to Epcot’s Norway Pavilion, including a new character meet and greet facility! The Epcot International Food and Wine Festival returns in 2015 and dates have finally been announced! 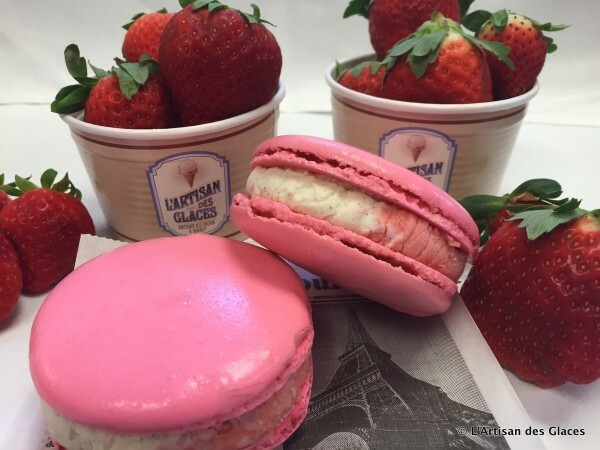 L’Artisan des Glaces has introduced a new limited time strawberry ice cream macaron sandwich in honour of Florida’s strawberry season! From January 17-March 21, you can catch an extended sneak preview of the new movie, Cinderella, at the ABC Sound Studio! Plus, guests will be able to take photographs with the coach from the movie on the Streets of America from February 1 through April 11. Piece by piece, The Sorcerer’s Hat is being removed from the center of Disney’s Hollywood Studios. 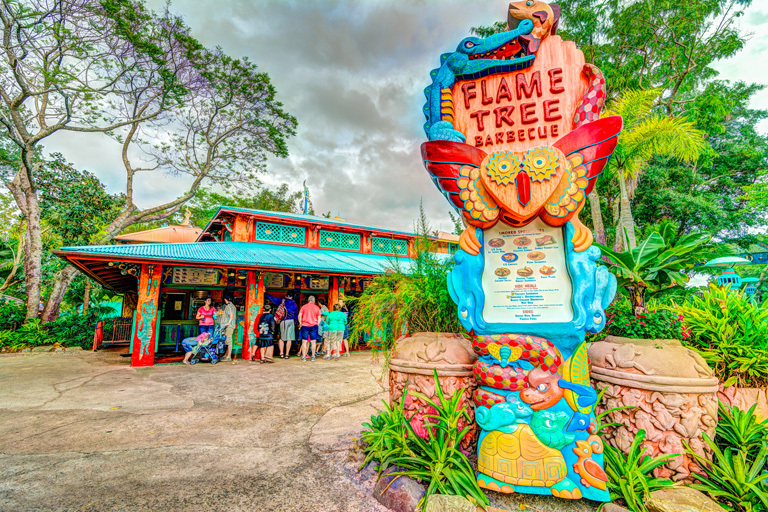 Flame Tree BBQ is closed for the next several weeks for refurbishment, but many of the most popular items can be found at alternate locations throughout the park! Avatarland construction continues and new drone footage has been released of the area! Preliminary pricing for the Bora Bora Bungalows at Disney’s Polynesian Village Resort have been reported – official pricing has not yet been released by Disney.